Websites publishing profanities will either have to delete the offending material within 24 hours or be hauled offline - so says a new amendment to a law aimed at – what else? – protecting children. Another attack on Blighty's freedom of speech? Not this time. 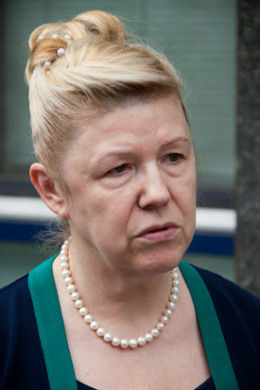 Instead, Yelena Mizulina - head of the Russian State Duma's Committee for Family, Women, and Children - wants to amend Russia's existing rules, titled On the protection of children from information harmful to their health and development, to block “harmful information” on social networks, websites and forums if bad language is not deleted within a day. The ever-reliable Pravda reports that Mizulina thinks delicate Russian children may begin to see profanity as a norm unless it is completely cleansed from the Russian-speaking corners of the web. The mass media that uses a harmless word from a certain lexicon will get a warning for the first time. But the second use of this word - even in the same article - will lead to its closure. This means if someone says something rude we practically lead the media outlet to a death sentence. Mizulina has form for imposing her personal moral codes upon others. She appears to be an outspoken supporter of Russia's bill to outlaw “non-traditional sexual relations”, to the point where a gay-rights activist intends to file a lawsuit against her for inspiring hate and hostility towards LGBT people in Russia, according to the LA Times.